It is said that only two things in life are certain, death and taxes. While everyone is required to pay local, state, and federal income taxes, business owners are generally subject to an additional burden – the self-employment tax (more commonly known as social security and Medicare taxes). Self-employed individuals are generally taxed at a rate of 15.3%. This rate approximates the combined contributions of a regular employee and employer under the Federal Insurance Contributions Act (FICA), and is divided into two parts: 12.4% for social security on the first $113,700 and 2.9% for Medicare. Usually, this self-employment tax is assessed on 92.35% of the self-employed individuals’ income. There are, however, various ways in which business owners can reduce the amount of self-employment tax they are required to pay. 1. Form an S Corporation and Pay Dividends. The self-employment tax is only applicable to wages or salary – what the Internal Revenue Service defines as “earned income.” The self-employment tax does not, however, apply to distributions or dividends paid by a corporation to its shareholders. This means that a business owner can form an S corporation, draw a reasonable salary (subject to the self-employment tax), and distribute the remaining corporate profits to the owners free from self-employment tax. The reasonableness of the salary is important because if the IRS determines that a salary is too low, it will disallow all or a portion of the dividends resulting in a higher self-employment tax. 2. Deduct All Legitimate Business Expenses. Business owners are permitted to take tax deductions for all “ordinary and necessary” business expenses. This means that business owners can deduct any expenses that legitimately went towards the generation of income. Common business expense deductions include: office supplies, advertising costs, travel expenses, and the costs of maintaining office space. If a business owner spends $20,000 in legitimate business expenses, he or she can deduct that amount from the business’ yearly taxable income. Assuming the company made $100,000 that year, only $80,000 would be subject to self-employment tax. 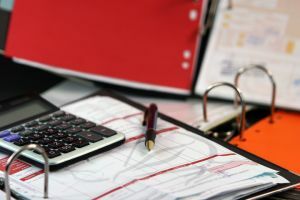 Claiming all possible business expenses of course makes sense economically under any circumstance but identifying all possible deductions isn’t always so obvious. Some less common expenses include a percentage of utility expenses for a home office or auto expenses (including mileage) for automobiles or trucks with dual purpose use (business and personal). Working closely with a CPA is the best way to ensure that you have all the tools necessary to accomplish this goal. 3. Take Advantage Of a Section 105 Medical Reimbursement Plan. Section 105 of the Internal Revenue Code allows sole proprietors, partnerships, corporations, and limited liability companies to take a full tax deduction for employee medical benefits under Health Reimbursement Arrangements (‘HRA”). This deduction may include premiums paid for employee health insurance and medical expenses such as dental care. Because HRA expenses are 100% deductible, they can reduce an employer’s self-employment tax obligation. However, it’s important to note that sole proprietors, partners, owners in s-corporations and owners in limited liability companies that elect to be taxed as partnerships may not set up an HRA for themselves because the owners are employers, not employees. However, the owners can set up HRAs for their employee/spouses who in turn can have family members covered under their HRA plan including their husband/owners. 4. Defer Income To Reduce Tax Obligations. Deferring income allows a business owner to reduce his or her tax obligation by falling into a lower tax bracket during a given year. You can defer income by billing late in the year or waiting until January of the next year to send out newer billings. Assume that a company expects to earn $90,000 in net income in the 2013 tax year. By deferring $2,150 or more of said earnings, the owner would fall from a 28% tax bracket (imposed on earnings between $87,850 and $183,250) to a 25% tax bracket (imposed on earnings between $36,250 and $87,850). This is particularly beneficial if there were unexpected earnings in the current year putting you into an unusually high tax bracket. The U.S. Tax Code is complex and can be extremely confusing. The best way to ensure minimization of your tax burden is to work closely with a tax professional and/or CPA and a San Diego business lawyer.